We have all made mistakes along the way while setting-up business. For various reasons, we tend to do too much or too little when developing the foundation of our businesses. Let’s be honest, working to make a new business successful is a lot of hard work. Sometimes you overlook something very important or you may start to lose focus as time moves forward. It takes a lot of discipline to work hard every single day when you are not gaining the traction you would like. You also have to tune out the distractions that seem to come up when things are just starting to be a little good for your business. Some mistakes are easy to correct. Other mistakes take a lot of work to fully recover because they are so damaging. This is why it is important to learn about the mistakes entrepreneurs tend to make. This valuable information will save you from a dealing with a lot of frustration by not falling in the same pitfalls. It can also save you from digging yourself deeper into the mistakes you are currently making. You are able to stand back and assess your business and actions to ensure that you are doing things correctly. Being that developing a business is a process of thoughts and action, we want to help you analyze the current process you are using for your business. This will allow you to know the health of your business. Either your business is doing well or there are some problems that need to be fixed. 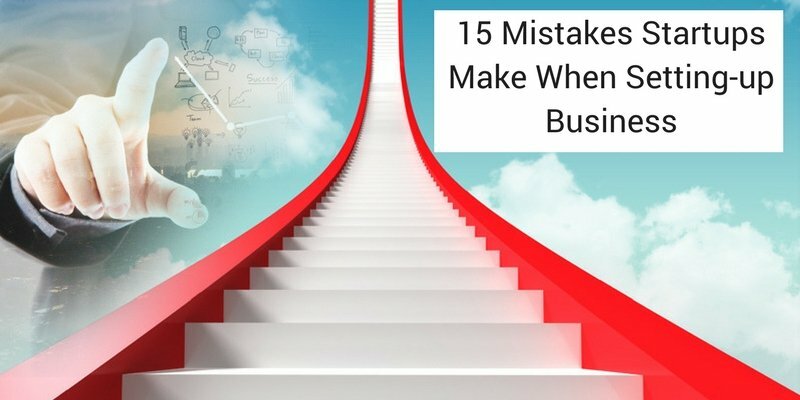 In order to know which status your business falls under we have provided you with 15 mistakes entrepreneurs make that causes their business to suffer. It is said that you need to create a business plan when you are considering opening a company. If you go into a bank asking for a loan, they will ask about your business incorporation and business plan for them to look over. They will want to look over your business plan to ensure that you established how your business is going to make money and how much is projected to be made. You might believe that this is the only information that needs to included in your business plan then. Not at all. Your business plan needs to cover your entire process, from your management team to your marketing strategy. This helps to identify if you have the right strategy in place to make the money you have projected. You cannot tell a bank that you plan to make $100k your first year of business but you have no marketing and sales strategy. What you want to accomplish is not realistic without having these two strategies being in place. Even if you are not seeking a loan from a bank, you will still need to create a business plan to guide your actions. You do not want to just being doing things that do not lead to your business growing. Therefore, your business plan helps to identify your goals and objectives and explains how they will be accomplished. This gives you an exact plan of action to follow so that you are operating with a purpose. Just do not make the mistake of over thinking your business plan. Your business plan does not need to be 100 pages long, covering every exact detail of your business. This only leads to procrastination because you are trying to make your business perfect. No business is perfect. You will deal some mistakes, but the biggest mistake is not having a business plan before starting your business. All you need to do is outline your strategy, not write a business book. Vision — the model you are working towards when developing your business. Background — why you are capable of operating the type of business you are starting. Goals — targets your business needs to hit in order to be considered successful. People — the background and experience of the people who will help you build your business. Products — the type of products and services you plan on offering in the marketplace. Competition — the other companies you are competing against and how your business will differentiate itself. Marketing — the strategy that will be used to effectively communicate to your target market. Funding — the source of financial investment that will be used to start and operate your business. Measurement — the progression of your business to ensure it is moving along as planned. Exit plan — the plan of how the business will continue after your have exit or sold your business. No one builds a business alone. Even if you do not have employees, you will have some other type of support that helps you take care of different functions within your business. Making the mistake of thinking you can do everything on your own will humble you quickly. It is impossible to handle every single function of your business while trying to build a successful business at the same time. You will find yourself burned out quickly trying to do so many things on your own. If you cannot afford employees starting out, try to bring in a partner who can assist you with running your business. This allows you to split duties between one another so that you are not burden by doing everything yourself. Another mistake that should be avoided is bringing on too many founders. There are too many people who have to agree on making a decision, which makes it hard for your business to grow. There are also too many egos involved, as individuals may want the business to be operated by their standards. It is best to avoid this confusion by only bring in two founders at most. The reason your business is not working is because you have not done the necessary market research to validate your business. Assuming that consumers will purchase your product or service just because you offer it is a very grave mistake. You will end up wasting time and money on a business that has no chance of succeeding. No matter how hard you try to market and sell your business, it will not overcome the fact that customers are not interested in your offer. This is why it is very important for you to get feedback from your target market prior to starting your business. This process allows you to find out what your consumers do want and do not want in regards to products or services. This helps you avoid creating something that would not be purchased, and instead create something that has real demand. Do not make the mistake of seeking validation from family and friends. They will tell you your business idea is great just to make you feel happy. You need real criticism rather than fake praise to ensure your business idea is worth pursuing. Only trust the opinions of those who have operated or currently operate a business. And, especially trust the opinion of your target market. When you are starting a business, you will need to be completely focused on building it every single day. Even when you are tired and stress, you should never abandon the process of developing your business. When you constantly stop and restart, you lose the progress you had going, and it is sometimes hard to recapture that energy/. Not to mention, when you stop working on your business, your competition is still moving along with developing their business — acquiring the same consumers you need to be a customer of your business. Being an entrepreneur means that you have to give up average behavior that the majority of people operate under. You will literally have no days off when starting your business. The weekends are not weekends anymore. They are your work days. You will almost have to work 24/7 to get your business off the ground. But, this is the type of commitment that is needed if you plan to build a successful business. You also need to determine what your business stands for so that it guides your actions. These are the core values in which your business operates under. Establish these values so that you know the exact standard that your business upholds. Even if you do not have employees, your values will be a constant reminder to you so that you stay on task. Do not become so stuck on your idea that you are unwilling to bend a little in order to ensure your business is successful. Having the “my way or no way” attitude does not work in entrepreneurship. Sometimes the initial idea you had just will not work. When this is the case, you have to be willing to pivot in order to move your business forward. Being stubborn will only make you lose money and time trying to push forward an idea that has no chance at succeeding. When your original idea will not work, you need to determine what is the best course of action to take to make your business successful. There are many successful businesses today that pivoted from their initial concept when it proved unsuccessful. They either placed their idea in a new market or redesigned their concept so that it would be demanded by their target customers. But, the only reason success was gained the second time around was because they were open to moving away from their first idea. Therefore, you must be willing to let go of what does not work. Never start a business without knowing how much money will be needed not only to start the business but to also keep the business operating. So many businesses fail due to not understanding their required finances. They may take on too much overhead without having the customer base to support their expenses. Or, they may have a lot of revenue but remain in debt because their expenses are so high. This is why it is very important for a business owner to understand the financial requirements that is needed to keep their business operating. Without this knowing this information, you will be wondering why your business bank account is in the negative every single month. 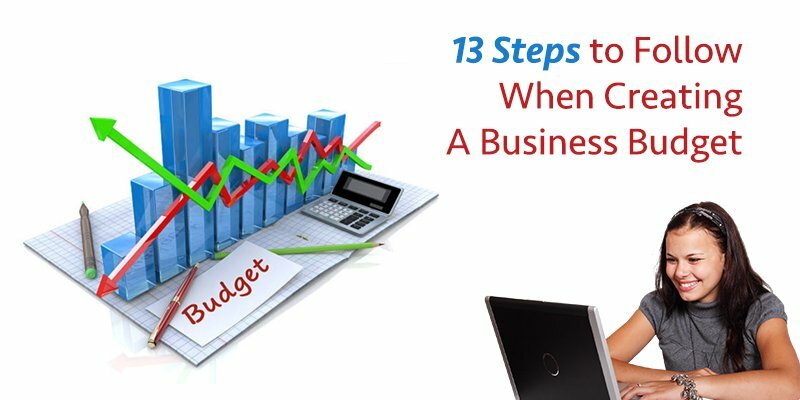 You should list out all of your expenses associated with starting and operating your business. 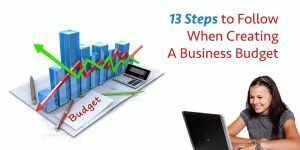 Get rid of all expenses that not needed immediately so that you cut down on your costs since you have little to no money coming in as a new business. Then you will need to determine how much money needs to be made and how it will be made. This gives you a target to meet hich becomes your priority. This way you are not sitting around waiting for customers to find you. You are going out to find customers so that your business can start making money. Do not be so prideful that you cannot ask for help. It makes no sense to be stubborn trying to prove you can figure everything out on your own and your business fails as a result. You have never operated a business before and your business classes in college do not prepare for the real experience of being a business owner. Therefore, it is wise to seek advice and counsel from those who have the knowledge and experience that you do not possess. When you are just starting your business, you will want to get a coach or mentor who can help you avoid making costly mistakes. If you cannot afford a coach, get a mentor. Mentors are people who have vast experience in business ownership and are willing to share their knowledge with you. It is advisable to get more than one mentor. You want to soak up as much knowledge as possible from many different people so that you are guaranteed to be successful. The more you know, the higher your possibility of success increases. Yes, you want to have the best product possible before offering it in the marketplace. But, the more time you spend on product development, the less money you are making. In fact, you are not making any money at all because you are trying to make your product perfect. Stop trying to make the perfect product. You will not know how great your product is or not you do not have customer purchasing the product. You need to be focused on sales. Sales is how you keep your business operating and is how you eat. Even if customers have issues with the product, you can improve t while still selling. The sales process is not only how you bring in money, but it is how you learn to make your product even better. This helps to increase your sales as a result. But, none of this can be accomplished if you are not making sales a priority. Do not make the mistake of thinking $50k in revenue is the same as $50k in profit. Not at all. Profit is what is left over after you pay your expenses. Therefore, if your expenses are high, you will have a low profit, if any at all. This is why it is important to reduce your expenses as much as possible so that you are earning a profit when on your sales. You do not want to be one of those businesses that has a lot of revenue coming in, but they are not making any money as a result of their expenses. You increase your profits in two ways. Either you earn more money, or you eliminate your expenses. It is best to do both so that you are earning and keeping as much money as possible. This allows you to continually invest in your business, and at the same time save money in case of an emergency. Profit means that you have cash on hand to be used when needed. When you are just starting your business, you will need to settle for where you are currently at so that you can acquire customers quickly. But, as you continue to develop your business and grow your customer base, you will need to improve the value you are offering. If your business is only good enough or mediocre at best, you will soon find that your customers are abandoning you for your competitors who offer a better quality service. You want to always find ways to improve your business. Even when you believe it is good, look for ways where it could be better. This helps you build a business that completely satisfies the needs of your customers. When you are providing them with a value that cannot be found anywhere else, it will be very hard for them to leave and find a better business than yours. When you want praise for your actions rather than the truth, you will find that your business is not as great as your really think. It is better to receive real criticism instead of fake praise. Criticism is feedback that should be used to better your business. When you know what you are doing wrong, you correct your behavior and build a better business as a result. If you have a product, you will need to have distribution channels in place that allow your product to get to your consumers. This is why you need to have distribution partners who help you get your product in front of your customers. What is great is that online marketplaces such as Amazon and Ebay allow you to sell your products online. You can also create your own e-commerce website to sell your products. You just will need to know how to generate the traffic to your website for your e-commerce store to be successful. Even if people are considered experts, you will need to trust your gut if your instincts say something is right or wrong. You will regret making a decision that you knew was not the right course of action for your business, but you considered the expert’s advice over making your own decision. At the end of the day, your business is yours, not the expert who you are seeking advice from. They are not affected by the decisions made for your business — only you are. Do not hire employees just to say that you have people working for you. You need to only hire people who can help you move your business forward.When you hire the wrong people, they can destroy your business because they are not invested in the success of your business — they just want a paycheck. Hire those people who believe in the vision of your business and who possess the skills that you do not have but are needed. 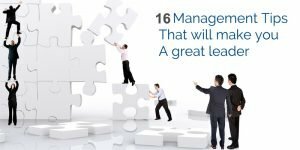 This will give you employees who are committed to the success of your business and who play an active role in making the desired success a reality. You need to develop and keep relationships with the people that you meet. You never know who could help your business due to their own relationships. The people who you know could introduce you to a high paying customer or a distributor who could place your products in thousands of stores. This is why it is very important to maintain and nurture your relationships. You never know the value your connections can provide for you.